The puff stitch is one of my favorite crochet stitches and is very fun to create with. I’ve got quite a stash going of these gorgeous infinity scarves, my favorite colors so far are the tiffany blue and canary yellow. These scarves are light enough for spring yet warm enough for fall. I am known for having quite a boring wardrobe full of blacks and grays so this is an example me trying to add some more color to it. I have it looped around twice here on my “model” Lupe. I don’t have the pattern or tutorial for this scarf but All About Ami does!!! If you haven’t checked out her blog, you have to. Go, here, now. (but don’t forget to come back!). She has some very good tutorials on all kinds of crochet. The puff stitch being a popular one. Link to the scarf tutorial can be found here. I used her pattern as a guide and made the scarf to the length and width that I wanted using Simply Soft yarn. Our Dane Ivy is still a growing pup even at 16 months old. Recently we discovered she can drink water, comfortably, from the bathroom sinks. Hey, it beats having to go allll the way back downstairs to the water bowl! 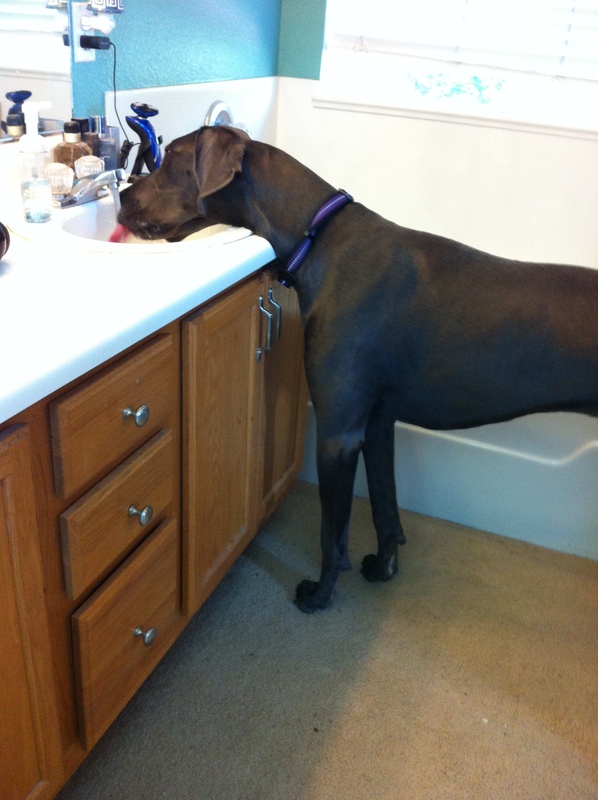 Our morning routine now consists of me brushing my teeth while she pushes me out of the way to get to the faucet. Next Post Finally a Finished Room! 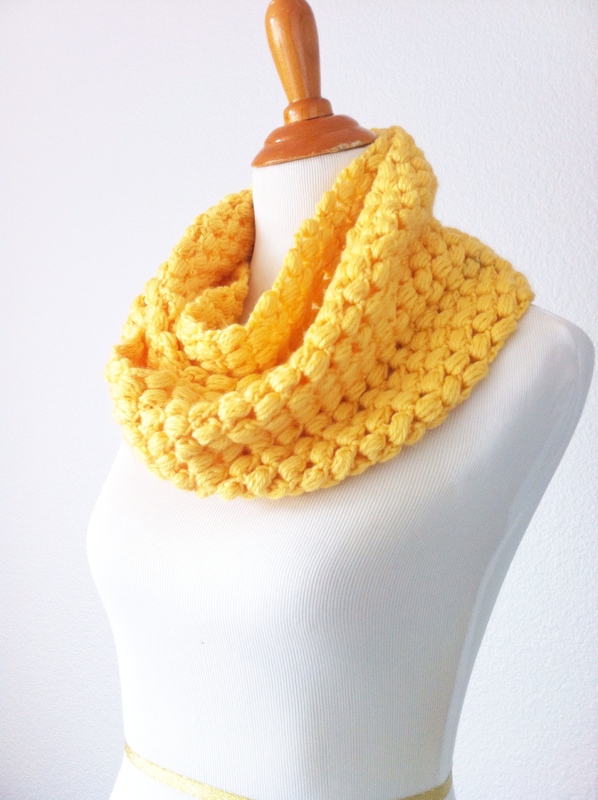 I love the look of this cowl. I’ve checked out the link and now I just have to master the puff stitch. Thanks! Thank you! Good luck I’m sure it will turn out great !